According to a report from the National Highway Traffic Safety Administration or NHTSA, the US market is on track to break a record for vehicle safety recalls this year surpassing 26 million. The NHTSA is the body that closely scrutinizes any widespread vehicular problems that results in a risk for people in the car, regardless of whether it’s a minor or a major problem. Vehicular problems can be reported to the National Highway and Traffic Safety Administration by calling their safety hotline at 1-888-DASH-2-DOT. Complaints can also be registered online at the NHTSA’s website or by filing a petition. Manufacturers normally are given 60 days to recall and repair after defects are announced. This time is monitored not from the day the recall is announced but actually from the date stated on the Official Safety Recall Notice (OSRN). 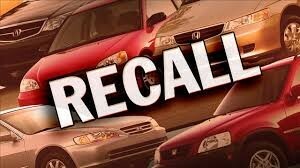 In the event that your vehicle has a safety defect, you will receive an official letter from the manufacturer with the recall campaign number, defect, description and action(s) to take. Repairs are the most common way to fix defects of recalled cars, however, sometimes automakers may replace or refund vehicles too. This happens especially when the problem is severe and would take too much time and money to fix.